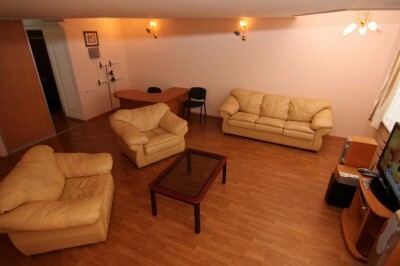 Rent One Bedroom Apartment in Odessa. 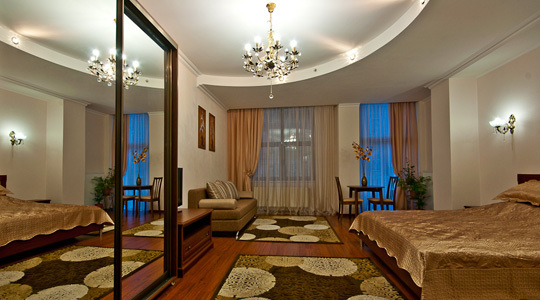 Find luxurious one bedroom apartments in Odessa rentals listings. Our Odessa apartment rental service provides a wide variety of housing for different-income visitors. Most of our one bedroom apartments for rent are available in the center of Odessa where you can enjoy traditional Ukrainian cuisine, keep in shape by working out in a gym, walking in the fresh air on the Sea Port and shopping that would satisfy most discerning shopoholics. 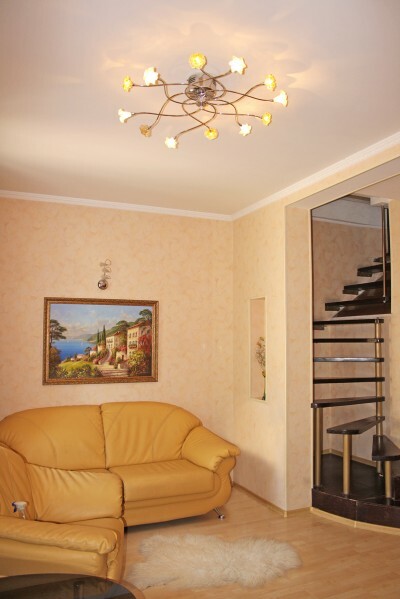 Thus, we recommend rent apartment from our catalog in the best neighborhoods of Odessa within walking distance to all those leisure activities. 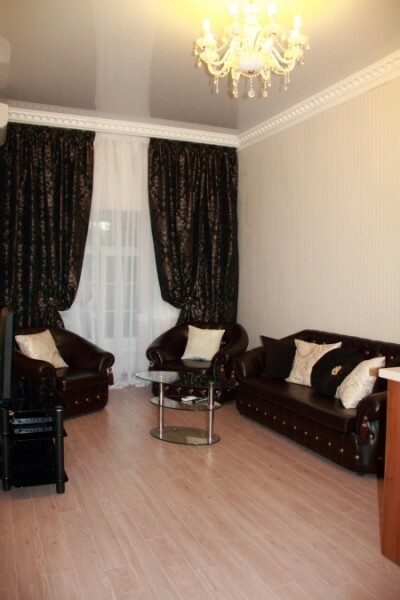 Odessa one bedroom rental apartments have a living room with dining area, fully equipped kitchen, bedroom with king/queen size bed (bedding supplied) and bathroom with Jacuzzi or shower cabin in its separated area. If you are coming to Odessa with family or friends chack our two bedroom rentals in the catalog, they are all quite spacios optimized for daily rent. Our top rating beautifully furnished apartments for rent are set within elegant historical buildings with great view from a balcony. They are ideal for business, holidays or just a break, away from home. These upscale, carefully designed and decorated rental apartments will definitely meet requirements and expectations of the most fastidious tourists. 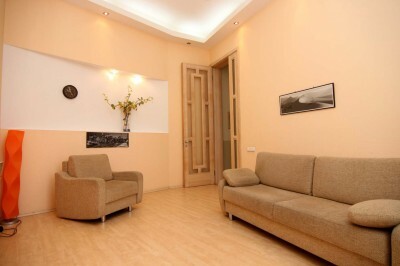 Many cheap rental apartments are coming up in Odessa as well, due to increasing number of tourists each year. For those who are looking for a basic and clean one bedroom apartment to rent we are offering a budget accommodation that provides primary accommodation facilities. Note, that budget rental accommodation is often available at some very nice tourists’ areas of Odessa. Please remember, when you rent apartment in Odessa from our catalog, you do not pay for utilities as water, electricity, sewage, trash pick-up, TV Cable, Internet since it is all included in a daily rent. So the price for the rental apartment you see is the only price you pay without any other fees. For single tourists we offer studio apartments in our catalog, some of them are quite spacious and would easily fitt DeLux criteria. Security deposits are required when you check in to some of our apartments for rent, they are totally refundable upon move out (minus the amount we need to fix the damage, you might have caused in the apartment). Security deposits differ from one rental apartment to another and from person to person based on our experience. It's common knowledge that Odessa tap water is not good for drinking. It is strongly recommended to drink only mineral bottled water in Odessa. Order bottled water from us while booking and it will be at your rental apartment upon the arrival. Some of our apartments for rent have wall safes for keeping your valuables in, check with us for the availability of it at the rental apartment and we will provide you with the code or key upon the arrival. It is also recommended to carry a photocopy of your passport while keeping the passport along with other valuables in the safe. Many convenience stores and some pharmacies are open 24 hrs, so if you need any groceries or medicine at odd hours, you will not have to search far from your rental apartment to find it. Coming to Odessa and then looking for apartment is not a good idea especially in Summer when you do not find any reasonably priced hotel, (too expensive ones are often full too). Make sure you book apartment in advance in summer, instead of overpaying for a simple hotel room in Odessa after a long search of it. Comfortable and modern apartment that would meet criteria of the most discerning clients! Very clean and airy! Tastefull interior design and furnishings of one bedroom apartment at unbeatable location in the historical center of Odessa with amazing Sea View! 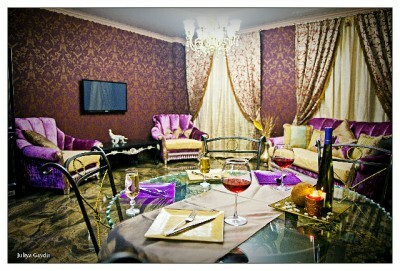 One out of 5 luxury rentals with unsurpassed location near Deribasovskaya and city garden! Fully furnished rental with unbeaten central location and capacity up to 4 tourists! 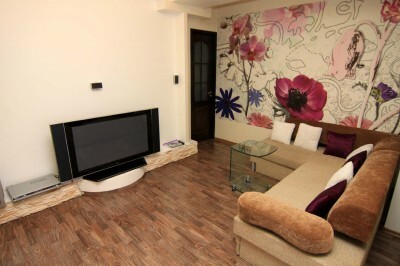 Classical, tastefully furnished apartment with two levels can readily accommodate up to 4 persons! Elegant apartment in the city center with a beautiful Sea View!